Keziah is a Teaching Fellow in the Religion Programme. She has just completed her PhD in the anthropology of religion in Myanmar. 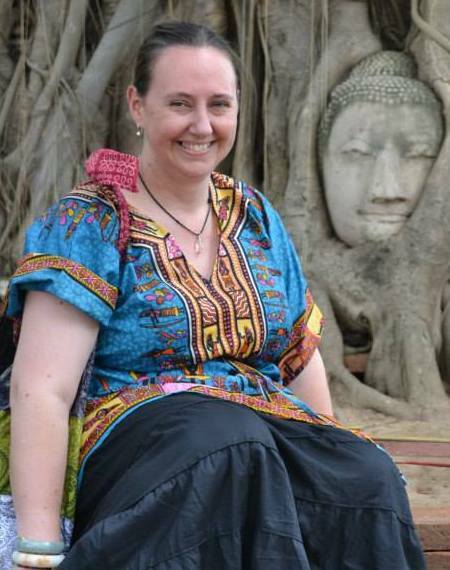 Her thesis examines the multiple dimensions of Burmese concept of yeseq, or the connections of karma that form between people across multiple rebirths. In particular it examines how this concept yeseq is at the foundation of all Burmese notions of connectedness. Keziah’s other main research interests focus on the changing nature of relationships between religion, culture, and gender in the wake of colonialism and the current push for modernisation of both religion and society in Myanmar. This includes examining the role of women within Burmese Buddhist tradition from a non-Western feminist lens and questioning the location of religious authority within the beliefs of religious specialists or religious texts. Keziah is also the editor of Relegere: Studies in Religion and Reception, a review journal of academic works in reception history. Keziah has previously taught into a range of papers in the Division of Humanities on a variety of topics relating to Asian media and popular culture, Asian religions, and the anthropology of Asian cultures. Within the Religion Programme, she teaches a variety of different papers across religious traditions, but with a common focus on lived religious practices, especially ritual. As an anthropologist of religion, Keziah’s teaching attempts to combine textual and historical studies of religion with ‘insider’ perspectives and ethnographic analysis of contemporary practices. All of Keziah’s papers are taught by distance learning as well as on-campus. Wallis, Keziah. ‘From Making Merit to Civil Society: The Politics of Dāna Cliques and Socially Engaged Buddhist Monks in Myanmar’. In Consensus and Openness, 20–39. Singapore: Fo Gaung Shan, 2017. Singh, Swaran, and Keziah Wallis. ‘Buddhism as a Solution to “China Threat Theories”? : The Chinese Tooth Relic in Myanmar’. In Understanding 21st Century China in Buddhist Asia History, Modernity, and International Relations, 101–121. Bangkok: Asia Research Center, Chulalongkorn University, 2016.